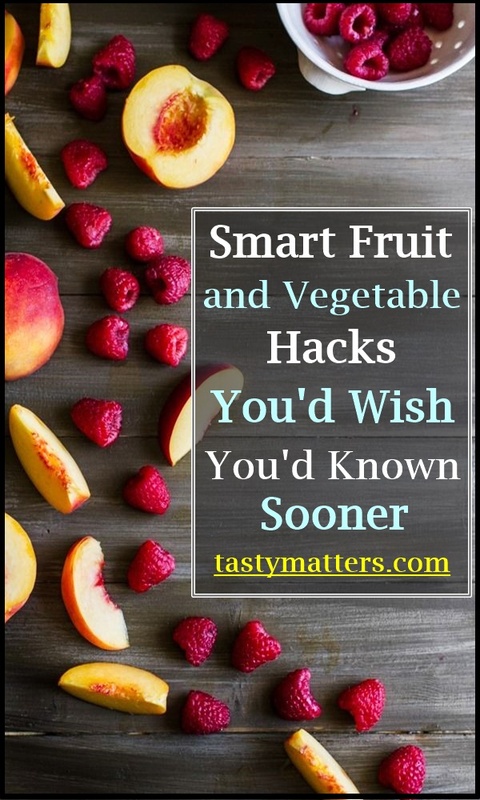 Do you know some fruit and vegetable hacks can save your time and money? Being smart and making use of science can make wonders in your kitchen! Yes, read the following hacks to know what I mean. 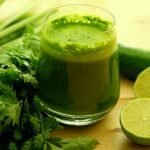 You may like: How To Get Your Child Eat Vegetables And Like It? To make it real simple, cut up a little on the fruit’s top, and blanch it in boiling water for at least 10 minutes. 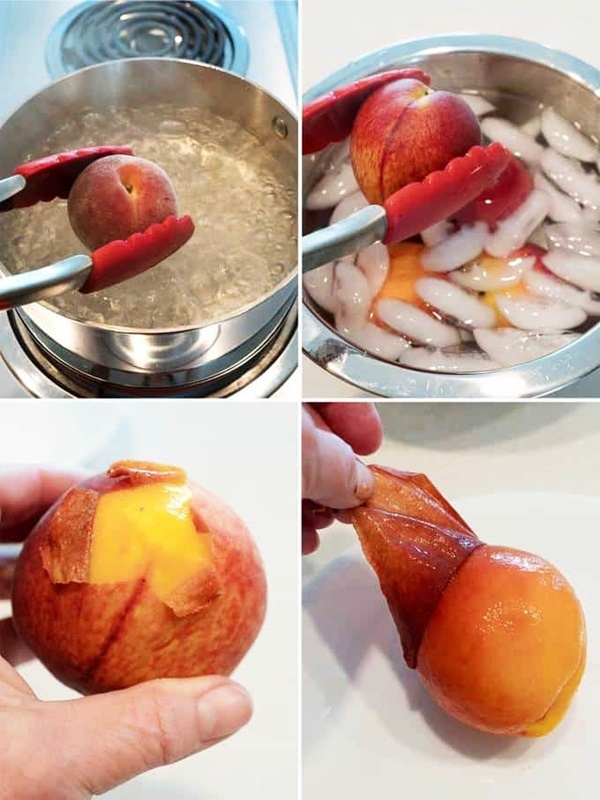 Now, swap the peaches to a cold bath containing ice cubes and water. 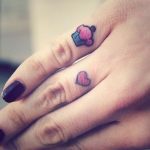 Take them out and try peeling. You will be surprised to see the skin sliding apart at ease, and it’s no longer a hectic task. 2. Going Through a Hard Time Peeling an Orange? 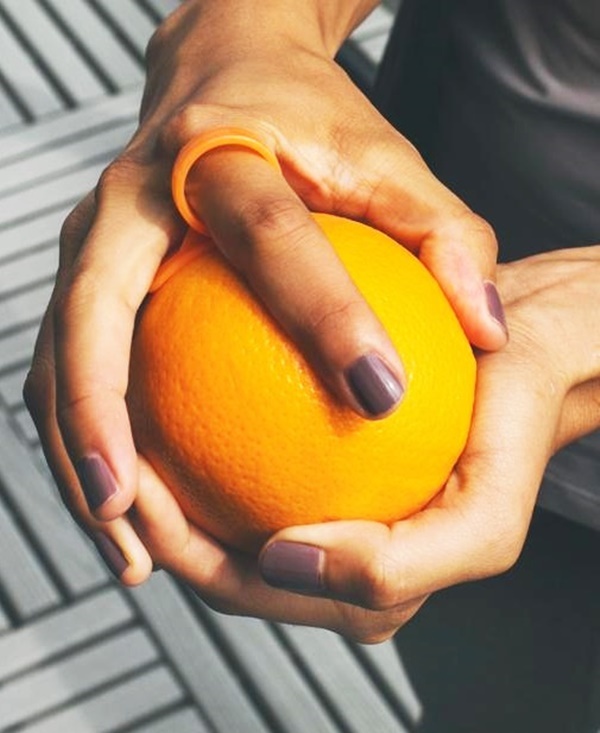 Make it real simple by rolling it between your palms and a flat surface before peeling. You should be able to peel the outer layer in big pieces, making it pretty fast. Roll it gently. Don’t crush it inside. 3. Irritated of Browning Apples? Once you have cut an apple, the countdown starts to become brown. Regular water and table salt will help you. 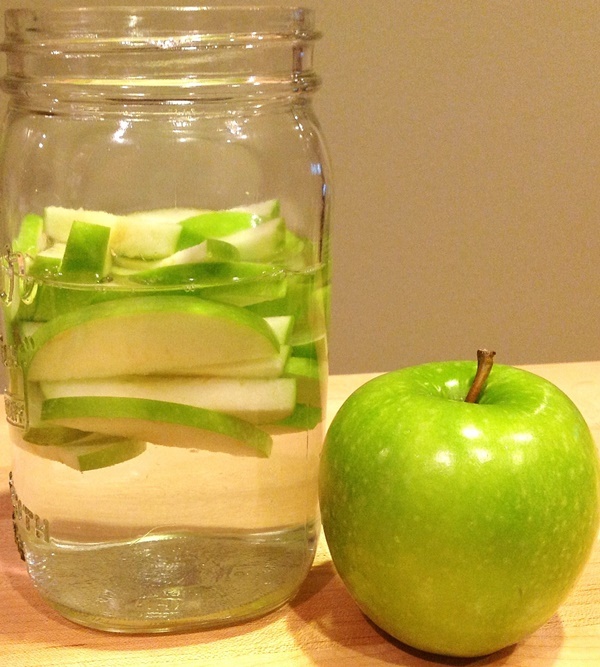 Dissolve one-eighth of salt with a small cup of water and marinate the cut apples with it. Salt resist oxidation efficiently, retaining the original colour and crunchiness. You can wash the slices with fresh water right before eating to avoid the salty taste. 4. Want to Ripen Those Mangoes Faster? Use the traditional rice dip technique. 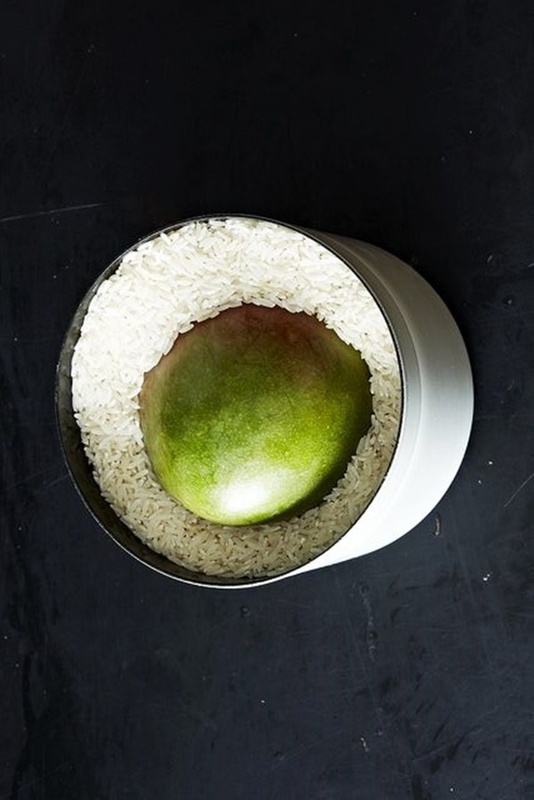 Putting the mangoes inside the container containing rice can make them ripe faster than usual. You may like to see how to cut mangoes the easy way. 5. 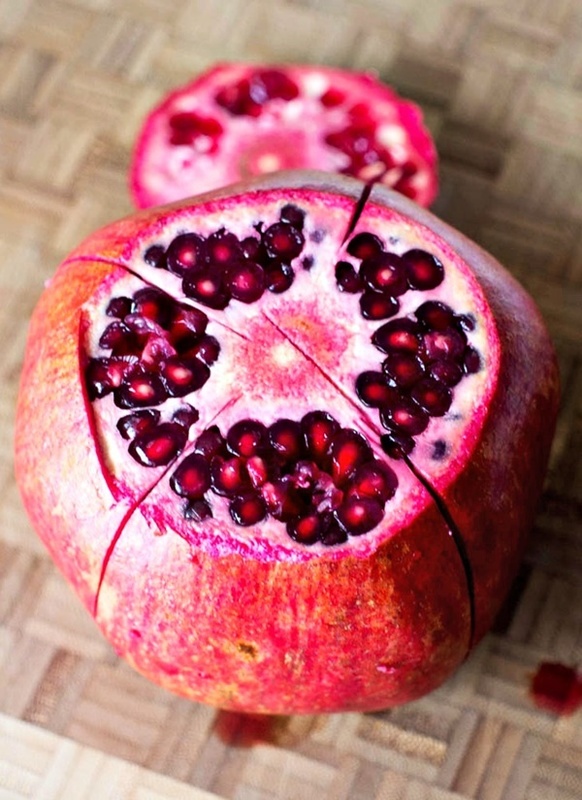 Cut That Pomegranate Like a Pro! It’s not hard anymore. Just slice the top of the fruit in a circular path and wedge the fruit equally in the vertical direction. Now, you will feel a lot easier to take away the seeds. 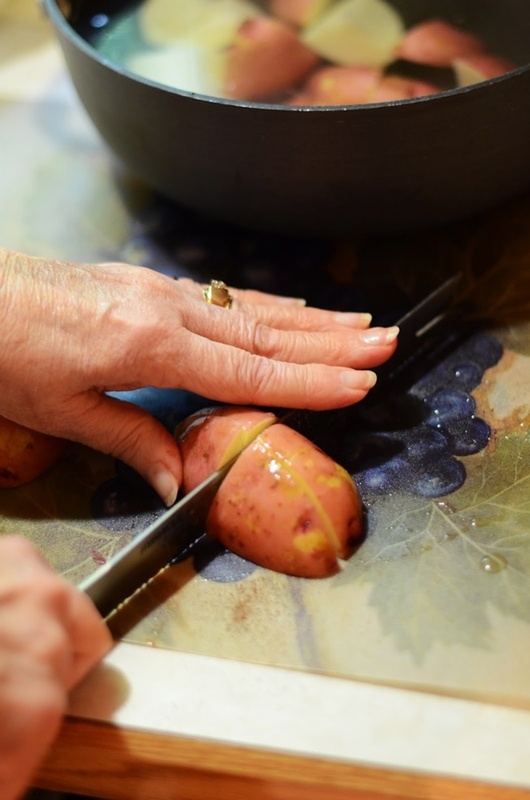 This method takes away the skin and also cleans the potato. Just make some random cuts on it, but don’t cut the flesh. Just penetrate until the skin is cut, and boil it until the skin becomes tender. Now, you can take away the skin as a whole at real ease. 7. Can’t Wait to Taste the Avocado Toast? Hard avocado needs a substantial period to ripen. 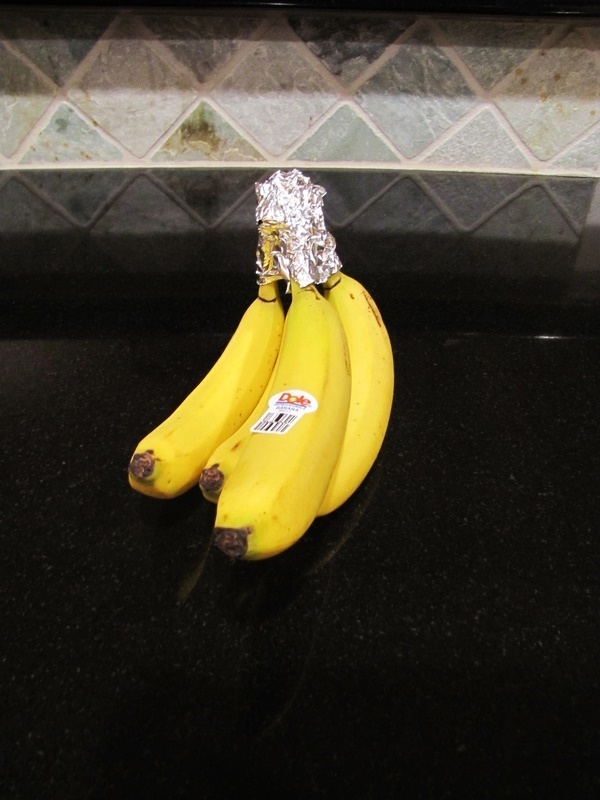 Here’s where the banana acts as a catalyst. 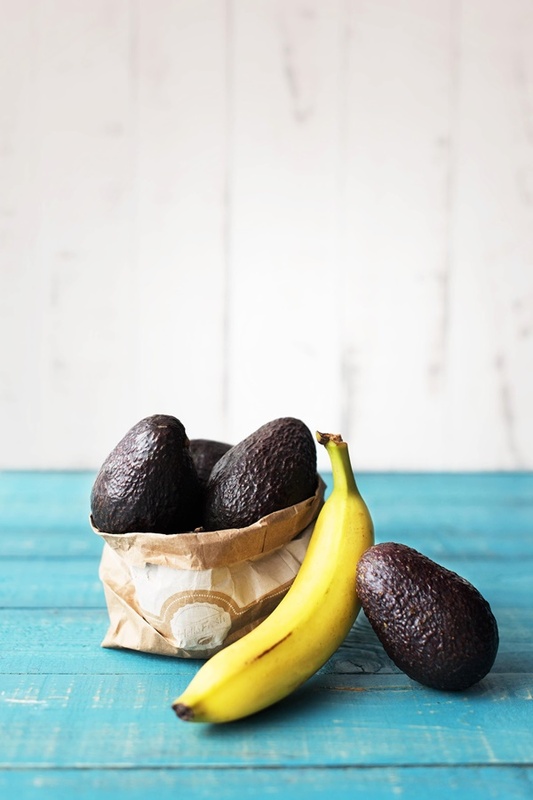 Pack those hard avocados along with banana in a paper bag. The gas emitted by banana has the tendency to make the avocado ripe faster than usual. Buying Pre-cut pineapple is a costly option, and not sure how hygienic it is. It’s not so hard to cut it. Cut the top and bottom of the fruit. Now, cut the hard skin layer vertically into 4 sections like a box. Take out the boxy flesh and cut as many pieces you want. Fruits like apples emit certain gas which inhibits the growth of nearby vegetables. 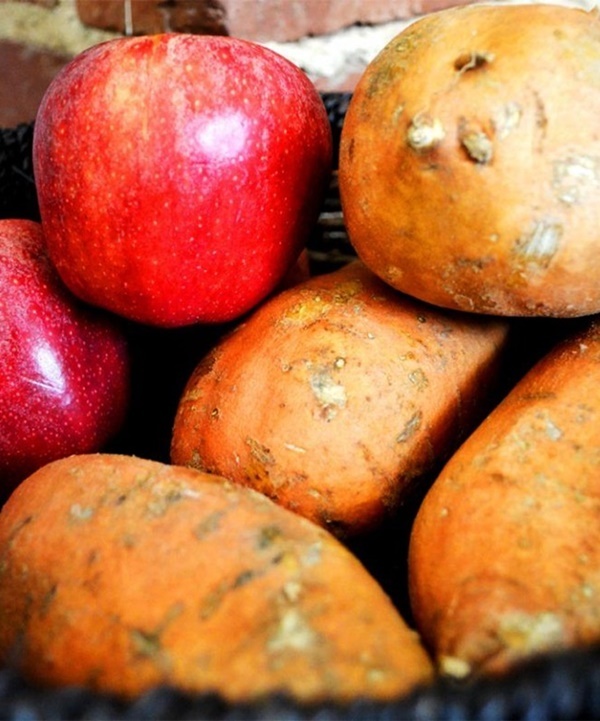 Store your potatoes along with a few apples to delay the sprouting process, and store them for long durations. Leaky eyes and onions may go hand in hand, but peeling them paper thin with a vegetable peeler is the fastest way to get salad-worthy slices with minimal tears. Banana ripens and gets clammy so soon. To slow down the process, wrap a piece of aluminium over the stem of it. It takes longer time up to 4+ days than usual. 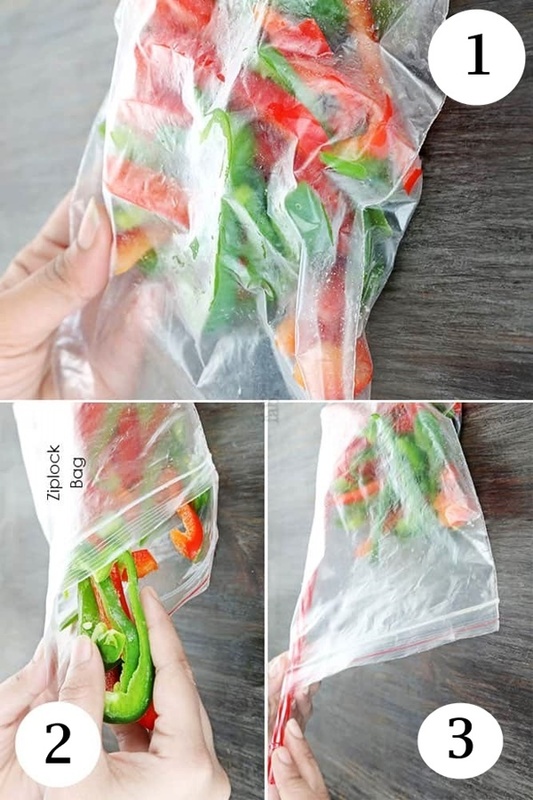 To maximize the shelf life of bell peppers, slice them into two and put the contents into a zip-lock cover and make sure there’s no moisture inside. Now, store it inside the freezer. 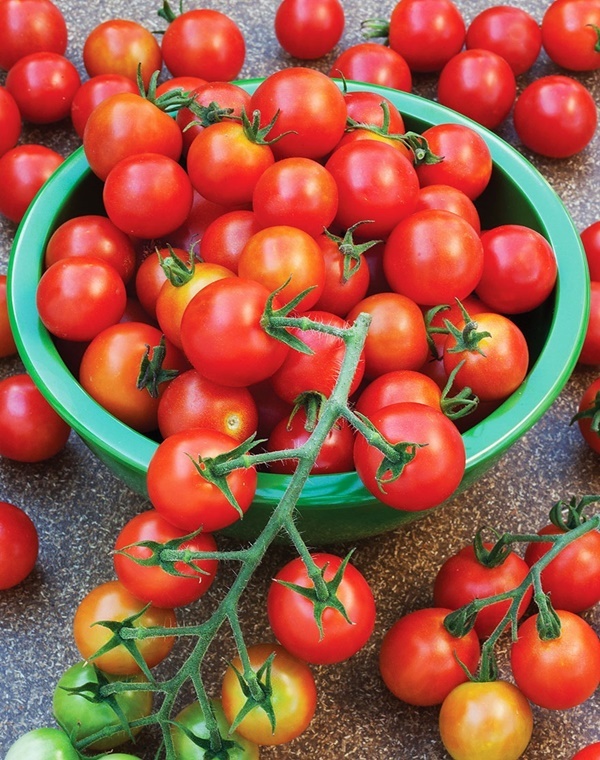 Tomatoes tend to lose texture, moisture, and potential taste enhancers if they are frozen or kept in cold storage. Keep them outside of the fridge. If you worry about spoilage, plan and purchase them in batches to avoid wastage. 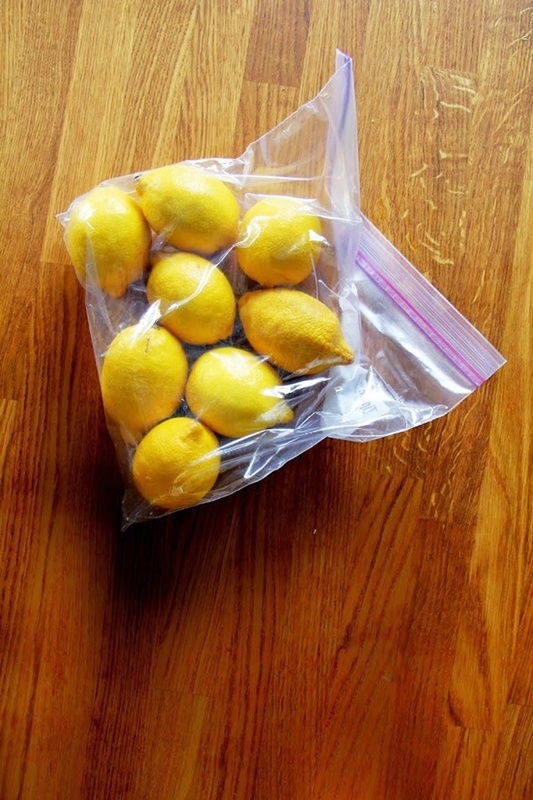 Normally, lemons can last up to a week inside your fridge. But putting them inside a ziplock bag and storing them in the chiller draw under your freezer will triple its lifespan. Yes, you can retain the freshness up to 3 weeks. Don’t worry about the oranges and apples. Life of an orange can be increased up to three times by putting them in the fridge. 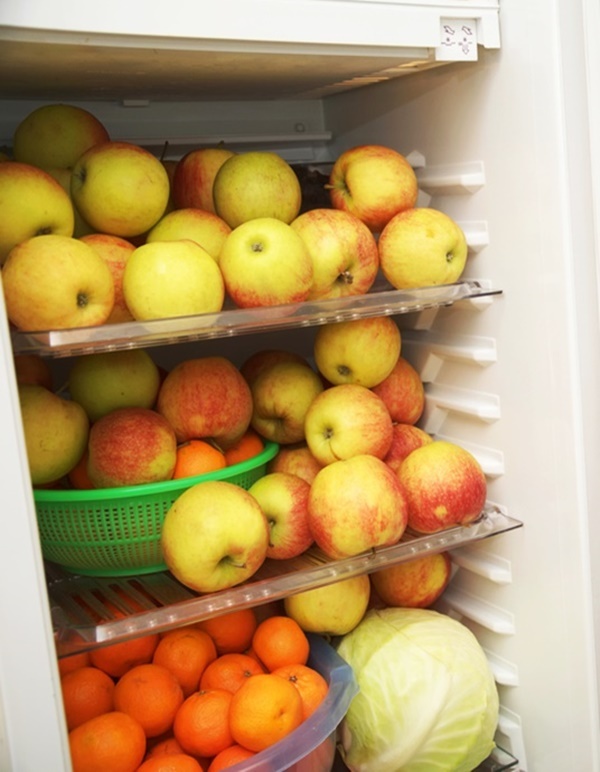 Putting apples in the fridge covered with a damp cloth helps to retain the crunchiness. Got a new perspective? Don’t forget these for the next time! Share this with your friends, let them know these smart tricks.